Has a new trend taken legs? Apparently influenced by last week’s slender man meme attack, an Ohio girl this past Friday took to stabbing her mother with a kitchen knife. The mother came to suffer multiple minor injuries, including a puncture wound on her back. The girl, 13, is now facing charges as a juvenile. After hearing about the Wisconsin attack that made media headlines last week in which two schoolgirls led a girl to the woods on a rouse to murder her, the Ohio mom began to suspect her daughter was under the same influence. Acknowledging her her daughter had mental issues, she nevertheless imagined her daughter would try to harm her. 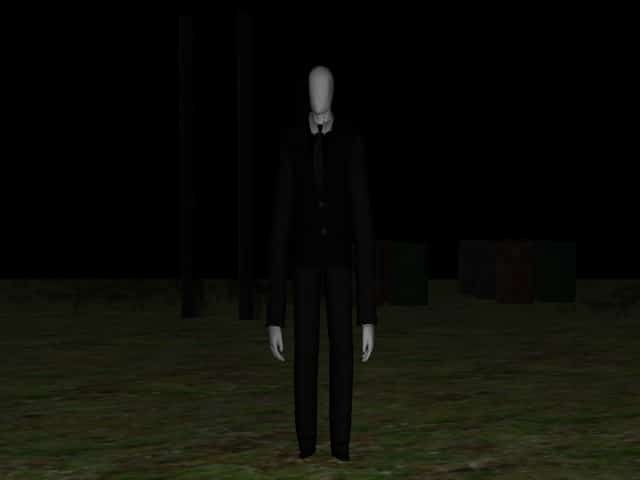 Slender Man, a computer demon created by paranormal enthusiasts, is said to be a lanky, faceless creature in a suit who terrorizes and kidnaps children. A spokeswoman for Slender Man creator Eric Knudsen and an administrator for creepypasta.wikia.com, where the meme was published, have apologized since the first attack and said Slender Man does not teach children to be violent. ‘I am deeply saddened by the tragedy in Wisconsin, and my heart goes out to the families of those affected by this terrible act,’ Knudsen said in a statement. Creepypasta administrator David Morales said the site clearly states that the stories there are fiction and its rules bar use by anyone under 13. ‘We are not teaching children to believe in a fictional monster, nor are we teaching them to be violent,’ Morales said. The daughter at presents remains at Hamilton County Juvenile Detention Center and will be tried as a juvenile. The mother says the girl claims to have no memory of what happened in the attack. There’s all kinds of excuses for people’s inability to objectively decide between right and wrong these days, and they are called “mental illnesses”. All that title does is give people an excuse to do bad/stupid/wrong things. Society today has made it acceptable for unacceptable behavior to take place. She did it because she wanted attention, plain and simple. The other girls got a load of attention for it, and she wanted the same. Had her parents given her a proper upbringing, this wouldn’t have happened. A child doesn’t stab it’s mother because it has a mental illness. That is a violent, hate-filled crime. Something else was going on at home.